If you’ve been diagnosed with cancer and you’ve read the book The Truth About Cancer (or simply heard about the incredible treatments available south of the border), you might be considering a trip to Tijuana, Mexico to partake in some of the truly amazing holistic cancer cure treatments that are available there. I recently traveled to Tijuana with my family to see the city and get some holistic dental care done at a facility that’s attached to a holistic cancer treatment center, American Holistic Care. If you’re looking for a cure and not just a band-aid for your cancer, the alternative cancer treatments offered at these facilities is worth exploring. The patients I spoke with at American Holistic Care were hopeful and excited about their cancer journeys. They were open with each other and supportive…a far cry from the silent, fearful patients sitting in American clinics waiting for “treatments”. And American Holistic Care is located at the Grand Hotel, which can be reached by a daily shuttle bus that goes back and forth from San Diego to Tijuana. If you’re nervous about how to get from the U.S. to Tijuana and back, call American Holistic Care and talk to Javier or Marisia and have them arrange the shuttle bus journey for you to simplify the experience. Both Javier and Marisia speak excellent English. Consider booking a room at the Grand Hotel for the duration of your treatments if it seems too overwhelming to go out into the city. Tijuana is a safe destination that offers affordable medical treatments for cancer that aren’t widely available in the United States. I wanted to go see the Hope4Cancer treatment center, the Hoxsey BioMedical Center, and the Gerson Clinic while we were there, but my dental work at American BioDental ended up taking longer than I’d expected. We did, however, get to see a lot of the city and get a feel for Tijuana as a destination because we stayed on the playas (beaches) for our two week visit in a vacation rental. And John works closely with a man who’s from Tijuana, but currently living in San Diego so we were able to get some local insight into the city. What we found is that Tijuana is a culturally interesting destination that’s as safe as any city in the United States, though the driving rules are a little different (take a shuttle or a taxi if you aren’t up to driving). If you’re seeking out natural cancer cures or alternative cancer treatment, Mexico is the perfect destination. There’s hope here and other options besides just surgery, chemotherapy, and radiation. If you have experience with any of these facilities, please feel free to share your experience in the comments section for others to benefit from. And remember, there is no human disease that responds to a particular medical treatment predictably 100% of the time. Every person’s physiology is different and every person’s cancer journey is different. None of the following clinics can provide a 100% guarantee that their treatments will work. Many of them can guarantee with relative certainty that their treatments won’t hurt though. So, if you’re traveling to Tijuana to find alternative cancer treatments, keep an open mind. Each of these facilities has had success with enough patients to make them popular and sustainable. American Holistic Care promotes functional medicine that’s personalized to each person’s specific needs. They focus on treating underlying causes of diseases like cancer or fibromyalgia or diabetes rather than simply treating symptoms. It’s a patient-centered facility as opposed to disease-centered facilities that most Americans are familiar with. For relatively healthy individuals, American Holistic Care offers preventative treatment options. For example, while we were there, we did chelation therapy to remove heavy metals from our bodies even though we weren’t sick. American Holistic Care uses holistic and complementary treatment options to address chronic or serious diseases like cancer. They take an integrative approach to cancer treatment using therapies that are scientifically proven to work and individually calibrated to each person’s unique physiology. They offer immunotherapy and biological cancer vaccine treatments, detoxification, hyperbaric oxygen therapy, nutritional counseling, and nutraceutial supplementation. American Holistic Care is located at the spectacular Grand Hotel in Tijuana. You can take a shuttle bus from San Diego directly to the hotel in the morning and return to San Diego in the evening if you prefer to spend your nights in the U.S.
Javier and Marisia do the scheduling for American BioDental. Grace does a lot of scheduling for American Holistic Care, but the two facilities work together and throughout the day and they schedule appointments “dynamically” to make sure everything that can get done does get done. In other words, if they tell you to show up at 9:00 AM, but you don’t know what your treatment plan is for the day, don’t worry. They’ll figure it out as they go and make sure you and everyone else who arrives for the day get the treatments they need. American Holistic Care isn’t well-marketed on the Internet at the time of this writing. It is attached to a facility that our family went to for dental care. The American Holistic Care facility is listed as a sub-business to American BioDental online, which is confusing. But don’t let that stop you from making an appointment here. Despite this marketing/branding blip, American Holistic Care has plenty of business because they’re doing some cool things in terms of holistic cancer treatment. The place was abuzz with Canadians and Americans while we were there. They sat around in the recliners or stood by the water machine making detoxification tea for themselves from the moment the place opened until after they closed on many of the days we were there. I wandered between the dental side and the cancer holistic treatment side (they treat other chronic diseases too, by the way) to talk to other patients there and get chelation therapy. To get to American Holistic Care’s information online, you can either click here or you can reach it through the American BioDental home page. These two businesses (American Holistic Care and American BioDental) are owned by the same person and they’re located right next to each other on the bottom level at the Grand Hotel. In fact, these two businesses work together (a lot of cancer patients get dental work done to clear up oral infections, get rid of mercury amalgam fillings, and a lot of people getting dental work done go ahead and do chelation therapy to remove heavy metals from their bodies, etc.). This aspect of American Holistic Care isn’t well-represented on the Internet, but the two facilities present themselves well and make sense in-person. The Hoxsey BioMedical Center is a famous holistic cancer treatment institution that began in the United States. It was famous for its cancer curing chemotherapy alternatives, but the American Medical Association finally pushed the Hoxsey Clinic out of the states in order to keep their thumb on the market (chemo and radiation is hugely profitable, after all). Luckily, the Hoxsey BioMedical Center and the treatment it offers is still available just across the border in Mexico. The cancer cure (known as the Hoxsey tonic) available to treat cancer at this facility is gentle, but effective (though no medical treatment for any disease is 100% guaranteed). And it’s affordable. The Hoxsey BioMedical Center uses modern equipment like CT scans, X-rays, and ultrasound to diagnose patients and then create a special individualized program for each patient’s specific needs. The Hoxsey Clinic has 4 rooms available for patients who plan to stay for multiple days. Visit this page to learn more about transportation options from San Diego to the Hoxsey Clinic in Tijuana. I wasn’t able to visit the Hope4Cancer clinic, but I’ve heard good things about it. It’s a clinic that was featured on the documentary The Truth about Cancer. When I was in college doing a pre-medicine curriculum as a student, I read about a vibrational therapy machine that was developed as a cure for cancer years ago. It was effective as a cure for cancer and as such a threat to Big Pharma and the American Medical Association. The machine was confiscated and, according to the stories I read, anyone who tried to build a machine like it could be jailed. I really wanted to see the Hope4Cancer clinic because they use a vibrational therapy machine to treat cancer like the one I read about many years ago. I’ve always wanted to see that machine. I thought vibrational therapy for cancer was a myth when in fact, there are other countries like Mexico where it’s being used as a cure for cancer every day. The Hope4Cancer clinic offers other alternative cancer treatments too. A biggie is RigVir, a cancer vaccine that was developed in Riga, Latvia. The vaccine is effective against an array of different types of cancer. The clinic also has bed-and-breakfast amenities for patients who would like to stay close to the treatment facility. There are fully equipped ocean view rooms with WiFi as well as common areas, a kitchen, and a juice bar. Developed by Dr. Max Gerson, this clinic works to restore the body’s innate ability to heal itself. The main treatments offered at the Gerson clinic include 1) detoxification and 2) nutritional therapy to address nutritional deficiencies. Patients are offered copious amounts of fresh, organic juices along with enzymes, minerals, and nutrient supplementation every day of their stay. Coffee enemas are used to detoxify the liver. Patients are sent home with a nutritional plan they can continue to follow throughout their recovery. The Gerson Diet is older than the Forks-Over-Knives diet recommended by scientists who conducted the China Study, but it’s worth noting that the Gerson Diet is consistent with and buttressed by one of the largest scientific research studies ever conducted in regard to the human diet and cancer. The China Study showed that consumption of animal products contributed to the development of cancer. Eliminating animal products from the diet can cure cancer in some individuals. The Gerson Diet does that and more. The Gerson Clinic is located in a safe, suburban area of Tijuana near the beach. To get to the clinic from San Diego, there is an independent shuttle service that can take you across the border, straight to the clinic’s front door. Can Entheogens Cure Addiction and PTSD? Have you looked into RigVir for prostate cancer? RigVir is a cancer vaccine that’s available in Tijuana at the Hope4Cancer Clinic as well as in Latvia throughout the country. There are honestly so many natural cures for cancer…what I would recommend to you as an advanced prostate patient would depend on your budget, whether you’re willing to travel, and whether you’re willing to make dramatic lifestyle changes in order to get rid of the cancer and live a long life. If it were my husband with advanced prostate cancer, I would first seek out the RigVir vaccine at the Hope4Cancer Clinic in Tijuana and then either head over the Hoxsey Bio Medical Center to get their herbal treatment and dietary recommendations OR I would go to the Gerson Clinic for treatment. OR, I would do both of those things. If my husband had a lot of dental work over the years and amalgam fillings, I’d make an appointment at the American BioDental clinic to have his mouth fixed up because dental issues can lead to poor immunity. That being said, there is also a natural cancer treatment facility in Puerto Vallarta, Mexico known as the Holistic Bio Spa. They offer some treatment options that aren’t available in Tijuana including something called Urine Therapy, which is controversial, but apparently effective and here’s the kicker: it’s FREE. Dr. Jake Ames at the Holistic Bio Spa offers consultation about Urine Therapy for people who are weirded out by it. But I’ve tried Urine Therapy (smearing it on and then drinking it) and I’ve had some decent results from doing it so far (I have melasma that’s clearing up bit by bit). It’s not especially pleasant, but I like to mention Urine Therapy because there are a lot of people who are looking for free cancer cures. I haven’t visited the Holistic Bio Spa in Puerto Vallarta yet but I’ve spoken on the phone with Dr. Ames and I plan to go in the next month or two to see the place and talk with the doctors there. Learned about 2 of these facilities from TTAC docuseries. I passed on your link to a friend whose mother has just been diagnosed with stage 4 lung cancer that has spread. I wonder if you would know if any of these centers treat other serious diseases, specifically respiratory infections? I suppose I could contact them directly but my thought is that you may know this but may ALSO know of other facilities not listed here in the U.S or in Mexico. I live in Colorado. Thank you SO MUCH for any information you can provide. The Gerson Clinic in Tijuana treats all kinds of chronic, degenerative diseases and in fact, the Gerson Diet has been used many times over to cure tuberculosis (which is truly an outstanding miracle that everyone should know about!). This clinic offers a lot of helpful literature on their web site to make it possible for people to treat themselves at home, but I do have to say that I’ve tried the Gerson Diet and it’s challenging! It takes some practice and perserverence to do it. On top of that, for respiratory infections, I would say that it would be important to contact the clinic directly to get their guidance. They’ve been curing a lot of different disease for years (including things like herpes believe it or not), so it would be worth your time to contact them. The Holistic Bio Spa in Puerto Vallarta is another clinic to look into for both cancer as well as respiratory infections. Dr. Jake Ames runs this clinic and although I haven’t visited it yet, I have spoken on the phone with Dr. Ames and his treatments are UNCONVENTIONAL but really interesting. He offers something called Urine Therapy that’s super controversial mostly because people are icked by it. I’m in the process of giving it a try myself though. Urine Therapy is pretty weird, but I’m trying it anyway because I want to write about the experience and then visit the clinic in the next month or so to meet the doctors there and take a tour. Urine Therapy is free and apparently, it can lead to miraculous results for a WIDE VARIETY of ailments. I’m currently giving it a try for melasma (a skin problem) and I’ve seen some changes already (it’s been about 2 weeks). Here’s a book on Urine Therapy by John Armstrong if you’re interested: https://www.amazon.com/Water-Life-Treatise-Urine-Therapy/dp/0091906601/ref=sr_1_1?s=books&ie=UTF8&qid=1517271115&sr=1-1&keywords=urine+therapy+books+john+armstrong. Urine Therapy interests me because it’s free and fully accessible to people (especially Americans) who have limited access to natural cures that cause no harm! Also, the American BioDental facility is opening a new place in Cancun. I’m not sure if they’re going to be opening a new American Holistic Care facility at the same time to offer cancer treatments or not. Further afield, the RigVir cancer vaccine is available in Latvia and at a cheaper price than what you’d pay in Tijuana. And in McLeod Ganj, India there’s a Tibetan doctor named Yeshi Donden who offers an herbal cancer cure. I walked past his office a couple of years ago when we visited McLeod Ganj, without realizing that the location was FAMOUS for treating cancer (I have just a tiny, short blip of the McLeodganj Clinic on a video I snapped while walking down a street there)! Besides that, there are a number of cancer cures that are widely available. Essiac Tea is one that comes to mind, for example. You can order it on Amazon, but be aware that it can cause kidney stones if you don’t follow the recipe/instructions exactly. And Essiac Tea may not be the best choice for tumors that can cause a lot of damage if they swell (for example brain tumors or tumors in the intestines) because Essiac Tea can cause the tumor to swell before it goes away. If you’re looking for an alternative to chemotherapy treatments for prostate cancer, studies have shown that a dietary change can make a big difference for you. Here’s a short article about Prostate Cancer written by T. Colin Campbell, PhD, who was one of the pioneering scientists who worked on The China Study (the largest nutritional study about cancer ever done). Prostate cancer is rarely found in men who eat a plant-based diet and, in fact, the researchers who did The China Study were able to show that people who ate a diet that included 5% animal products could literally “switch off” their cancer, but that eating a diet with more than 20% animal products in it “turns on” tumor growth. Prostate cancer had some of the most striking numbers statistically in The China Study in that diet had a PROFOUND effect on the course of the disease and diet in fact, could make prostate cancer go away. I would suggest watching the documentary Forks Over Knives for a short overview of the study or reading The China Study for more information about the link between prostate cancer and diet. Because of the link between diet and prostate cancer, the Gerson Clinic comes to mind as a good choice for someone who’s looking for non-chemo cancer treatment. At the Gerson Clinic, patients are given 13 juices per day along with coffee enemas to detoxify their bodies while hyper-nourishing at the same time. The diet is totally plant-based during the treatment and people are taught how to follow the Gerson plan so that they can go home and continue working toward healing. The Gerson Therapy has been successfully used to treat cancer since the 1930’s or 1940’s and it was, in fact, the first non-chemo cancer treatment that was brought before Congress as a CURE for cancer, but Big Pharma made sure that nobody ever found out about this CURE because chemo (which makes people sicker) is so much more profitable than dietary changes that effect a CURE for cancer. See the book The Truth about Cancer for more information about the Gerson Therapy and why this cancer cure was never widely publicized. There’s a Gerson Clinic in Tijuana, Mexico and another in Budapest, Hungary. The cost of the program in Mexico is $6000 USD/week with a minimum stay for 2 weeks. This cost includes accommodations and meals for both the patient and a companion. In Hungary, the cost is $4,050 USD/week + $560 USD/week for a companion should you choose to bring one. There is also a 2 week minimum stay in Hungary. If the Gerson Therapy doesn’t resonate with you or if it’s too costly, another excellent no-chemo cancer treatment option is the BioMedical Center (aka the Hoxsey Clinic) in Tijuana. They offer the Hoxsey Tonic, which is an herbal treatment that you can get at the clinic and take home with you. Often, as I understand it, the herbal treatment is prescribed along with lifestyle changes (such as changes to diet and exercise habits) and then patients return to their homes to take the treatment for 6 months. Patients return to the Hoxsey Clinic every 6 months to see how their health is improving until the cancer is totally cured. If you’re not in a position to travel or if your funds are severely limited, you might consider contacting Dr. Jake Ames at the Holistic Bio Spa in Puerto Vallarta. He offers a controversial, but apparently a surprisingly successful treatment called Urine Therapy that’s actually compelling (I’ve tried it myself for certain health problems and I have to admit that I had some success with Urine Therapy). From what I’ve read about Urine Therapy, it tends to be particularly relevant to problems related to the gonads (for example, the prostate gland) because there are hormones secreted in the urine and when these hormones are re-introduced to the body, it can rebalance the hormones and help the body regain health. Hello. My name is Diane DeMore. I am a Homeopath, Kinesiologist and clinical Nutitionist. I have been dealing with squamous cell carcinoma of the left tonsil. My tonsils were removed in June 2013. I was poisoned with dental adhesive from a permanent bridge. Come to find out that the adhesive contained fish gills. I have been deathly allergic to fish for my whole life, 62 years. I am very proactive, doing vitamin C IVs every week, over 550 of them. I juice I have a vast knowledge of supplementation. I am active I still sing with A band. My husband is a farmer. We have horses cattle sheep dogs and my doctor it is an animal homeopathy and I love what I do. I have some growth coming back on my left side of my throat and it’s just uncomfortable. I would never do conventional radiation as they would burn out my throat, thyroid, saliva duct, etc. I would be very interested in your treatment. You can call me if you’d like at (555-555-5555) I am knowledgeable about many treatments and see a practitioner up in Massachusetts who is amazing. But I think I need a little more guidance as I’m going on five years and would like to live another 30 at least. My mother is 88 and her sister just turned 100 And a Polish side of the family. My father’s family is Italian. I love to cook and we can eat at home every night all organic and we also keep a garden. I have had a lot of influences including knowing Dr. William Kelly back in the early 1980s Thank you for your time sincerely Diane DeMore. Of all of the treatment centers in Tijuana, the Hoxsey Clinic (also known as the BioMedical Center) is the most personable. I send email messages to “Mike” at [email protected] to ask him questions regularly and he always answers promptly and honestly and I really appreciate that. The Hoxsey tonic from the BioMedical Center is also one of the most affordable alternative cancer treatments at $400 to $3000. The BioMedical Center is a large, beautiful facility. As I understand it, you would be given the herbal treatment to take back with you to the United States and you would take it as prescribed for 3 to 6 months and then return for a check-up. The American Holistic Care facility is another alternative cancer treatment place that I like to recommend because they offer treatments like chelation therapy a la carte. American Holistic Care is attached to the American BioDental Clinic (they sit next door to one another) in the basement level of the Grand Hotel. Contact American BioDental at 1 (877) 207-08-24 to talk to someone about their various non-chemo cancer treatment options. And then there’s the Immune Therapy Center and Hope4Cancer. Both of these facilities offer the RigVir cancer vaccine, but only as part of a package which includes other alternative cancer treatments. The Immune Therapy Center also offers chemotherapy and I urge patients who DO NOT WANT chemotherapy to remain vigilant about what the doctors are selling them if they go to this place. Just make sure you know what you’re getting! Both Hope4Cancer and the Immune Therapy Center cost between $40,000 and $50,000 for the treatment package that includes RigVir. RigVir is definitely a cancer vaccine that’s worth looking into for your squamous cell carcinoma. Here’s an article that was posted at the Hope4Cancer treatment center about a man who was cured of squamous cell carcinoma throat cancer. Again, at Hope4Cancer, you can only get the RigVir vaccine as part of a $40,000 treatment package, which can be steep for some people. An alternative, less expensive cancer treatment option would be to travel to Latvia and go to a treatment center there to get the RigVir vaccine. Here’s a link to a medical tourism company in Latvia that offers the RigVir vaccine. The cost in U.S. dollars right now is about $11,000 plus the cost of flying to Latvia (lodging costs are included once you get there). Hi Monique! Which Tijuana clinic are you most interested in? It sounds like the Gerson Clinic might be the best choice for you, your friend, and her child. Would like information cost, length of treatment and info on programs. Very interested in the Gerson clinic. Thank you. The most expensive of these four non-chemo cancer clinics is Hope4Cancer. I’ve heard that the cost of being treated there runs at about $40,000 (which is affordable considering the cost of chemotherapy). However, I think a lot of the treatments on offer at Hope4Cancer are a la carte so the price probably varies accordingly. Also, one of the more expensive, but potentially worthwhile treatments (depending on the type of cancer) at this clinic is the RigVir vaccine. Second in line in terms of expense is the Gerson Therapy at about $12,000 per week (as I recall). This includes overnight stays for the cancer patient as well as a family member. Family members are taught how to administer the Gerson Diet so that when the patient returns home, the family member can continue with the protocol. The Gerson Diet is a therapy that involves a very strict diet as well as coffee enemas and a variety of supplements. It’s been shown to work in treating a wide variety of chronic, degenerative diseases such as diabetes, arthritis, heart disease, and even tuberculosis as well as cancer. My husband, daughter, and I have all tried the Gerson Diet at home and it’s difficult to follow without guidance! But this therapy was the first non-chemo cancer treatment that was shown to work and presented before Congress because of it’s great success. One of the compelling things about the Gerson Diet is that it can help cancer patients change their lifestyle to help them learn how to prevent cancer from returning. American BioDental and American Holistic Care offer biological dentistry (also known as holistic dentristy) which is important if the cancer patient has a lot of amalgam fillings or other metals in their mouths. Holistic dentistry can help spur the immune system by removing barriers that have slowly hurt the immune system over time. In the same building as American BioDental is American Holistic Care (both of these facilities are located in the Grand Hotel in Tijuana) where cancer patients can get things like chelation therapy, light therapy, hyperbaric oxygen therapy, and more. They offer their services a la carte. Chelation therapy is around $100 per IV. The cost of holistic dentistry at American BioDental is about 1/4th to 1/6th of what you would pay for the same thing in the United States. The Hoxsey Bio Medical Center in Tijuana is one of the most affordable treatment options available in Tijuana. And one of the perks of the Hoxsey tonic is that is can even be mailed to cancer patients if they can’t travel to Tijuana. The Hoxsey tonic runs about $400. I believe they can also screen patients for cancer using some very simple lab tests that are available at the clinic. The Hoxsey tonic is an herbal treatment that also involves lifestyle changes/recommendations. Based on the testimonials I read in their lobby, I would say that the treatment is VERY effective on a wide variety of different cancers. In addition to non-chemo cancer clinics in Tijuana, there is a clinic in Puerto Vallarta that offers a wide variety of natural cancer treatments as well, some of them different than the treatments offered in Tijuana. Dr. Jake Ames provides consultation to patients on treatment options such as urine therapy, and the Frolov breathing treatment which are free treatments for cancer that can sometimes provide miraculous results (see the book called The Water of Life by J.W. Armstrong: https://www.amazon.com/Water-Life-Treatise-Urine-Therapy/dp/0091906601/ref=sr_1_1?ie=UTF8&qid=1517268826&sr=8-1&keywords=water+of+life+book). For those who can’t make the trip to Mexico, the Hoxsey Tonic and the Puerto Vallarta Holistic Bio Spa offer two natural cancer cures that people can work with in their own homes. The Puerto Vallarta Holistic Bio Spa also offers stem cell treatments for cancer along with ozone therapy, chelation therapy, special cancer diets, medical marijuana, and pancreatic enzymes to fight cancer. Basically, it doesn’t matter whether you’re rich or poor, there are a WIDE VARIETY of non-chemo cancer treatments out there. Among the free/cheap treatment options there’s Urine Therapy (don’t diss it until you try it…I’ve tried it and it can cause some interesting results!) and the Hoxsey Tonic. You might also consider ordering Essiac Tea (Here’s a link to a book on the topic: https://www.amazon.com/Essiac-Native-Herbal-Cancer-Remedy/dp/189094100X/ref=sr_1_1?s=books&ie=UTF8&qid=1517268992&sr=1-1&keywords=essiac+tea+for+cancer and a link to the Essiac Tea itself: https://www.amazon.com/Starwest-Botanicals-Organic-Essiac-Pound/dp/B003AYEHUM/ref=sr_1_1_sspa?ie=UTF8&qid=1517269050&sr=8-1-spons&keywords=essiac+tea&psc=1). 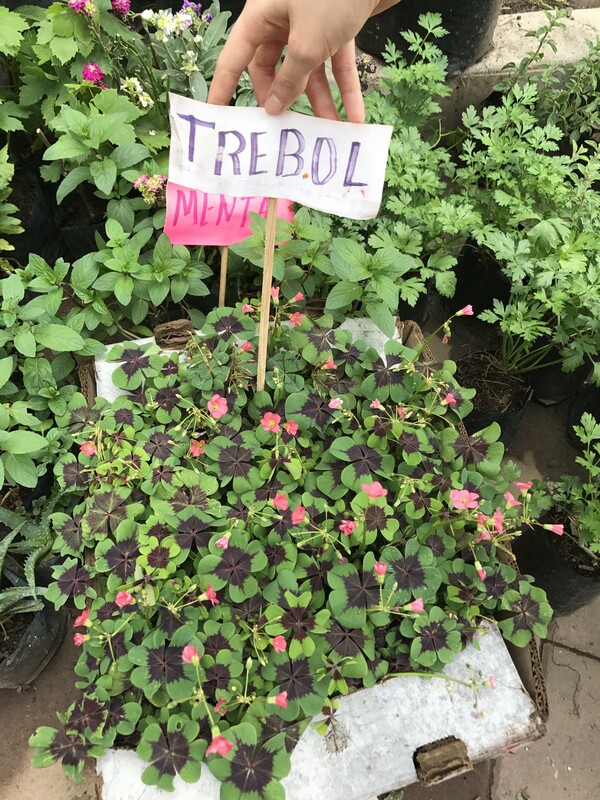 If you have the funding and you’re working with an aggressive cancer, consider making a trip to Tijuana (or Puerto Vallarta) to partake in a variety of natural treatments for cancer. A lot of the non-chemo cancer treatments that are available can be done all at the same time (for example: hyperbaric oxygen treatments won’t interfere with the RigVir vaccine or the Hoxsey Tonic, or for that matter any of the natural treatments that I know of). Even if you did all of the cancer treatments available in Tijuana, Mexico, you would likely spend a LOT less than you would doing chemotherapy and have a much more promising prognosis at the end of treatment. Of course, each patient varies in terms of their response to these treatments that are available in Mexico. But don’t lose hope! These natural cancer cures have a much higher rate of success than chemotherapy. And the natural cancer cures like the ones you’ll find in Tijuana or Puerto Vallarta are gentle, if not relaxing, and patients don’t need to be afraid of them. I’m so sorry to hear about the cancer spots, but there is HOPE. I understand that you’d like to find a clinic in the United States, but the U.S. is perhaps the worst country in the world to get treatment for cancer. The U.S. healthcare system is the most corrupt system in the industrialized world because it’s the only healthcare system that’s entirely privately funded. All other industrialized systems including Mexico offer subsidized healthcare for low-income patients which keeps costs and treatments in check. I would recommend going to Tijuana for treatment. If possible, plan to stay for a little while depending on what doctors there recommend. Consider renting an AirBnB apartment somewhere in the city. Obviously, if you have a job or if your daughters are in school (which is likely), and you have to leave them behind this could be an obstacle for you, but I’ll say more about that later. Most people don’t have $40,000 laying around so the cost may seem steep, but honestly, their other treatments that they offer are treatments that I’ve read about for years as effective cures for cancer too. So, while I disagree with making things cost prohibitive for people, I also can see some legitimacy to making people go through a comprehensive cancer treatment program that includes RigVir. RigVir hasn’t been specifically studied in terms of its effectiveness against ovarian cancer (though some articles do mention that RigVir has been used effectively to combat ovarian cancer), but that doesn’t mean that it doesn’t work against this type of cancer! Nope! It just means that Big Pharma doesn’t want to fund the research and that research on this vaccine has been stymied by Big Pharma’s desire to make money off of chemotherapy patients. You see, if RigVir works to CURE people of cancer, chemotherapy is no longer a valid “treatment option”. So that being said, this would be the FIRST thing I would do when I arrived in Tijuana. The next thing I would do is buy myself a juicer and 20 pounds of fresh fruits and vegetables along with an enema and some organic coffee. I’d follow the Gerson Diet, which is another natural cancer treatment option that doesn’t interfere with the other treatment offerings available at places like Hope4Cancer and Sanoviv. Here’s a summary of the Gerson Diet on PDF: https://gerson.org/pdfs/Foods-For-The-Gerson-Diet.pdf You could also enroll at the Gerson Clinic which is located in Tijuana, Mexico. The clinic costs $6000 per week and you have to enroll for at least 2 weeks. You could try to follow the diet by yourself, but it is a lot of work and it’s time consuming (my husband and I have followed the diet ourselves briefly just for the sake of trying it). You really need someone who can work with you on it and help you with it because it’s a diet that you should really continue following for quite some time. And finally, the Hoxsey Clinic or Bio Medical Clinic in Tijuana offers an herbal cure for cancer. In my experience so far, the Hoxsey Clinic is the most humane, least corporate of all the clinics as well as the most affordable (although the Gerson Clinic also seems humane and relatively affordable too). The cost of the Hoxsey Tonic is between $400 and $3000. The doctors there can do diagnostics as well as make lifestyle change recommendations. One of the perks of the Hoxsey tonic is that you can go get it and then take it home with you to the states. You’ll have to return for follow-ups to the clinic about every 6 months or so (depending on your particular situation). You can email the Hoxsey Clinic at [email protected]. The Hoxsey Tonic is a totally viable cancer cure by itself. But if you have cancer, and you’re very intent on surviving it, my suggestion is to change your diet, get rid of all beauty products, lotions, shampoos, etc. that contain toxic ingredients, and go get every kind of alternative cancer treatment available that doesn’t work against the other cancer treatments that you’re doing! One of the main reasons why I’m saying this in your case is because 1) you’ve been through chemotherapy before which means that you might need the extra boost of additional treatments and 2) you have a young family and you want to survive this. You could travel to Tijuana first for the Hoxsey Tonic and then travel to Latvia or vice versa. Traveling is necessary and important if you can do it in this case. I understand why you wouldn’t want to travel to a foreign land because it’s expensive and scary and you’re already concerned about your health, but the United States healthcare system is not designed to support your search for good health. If you have cancer, your best bet is to seek out care in a country that supports that search. Doctors who try to cure cancer in the United States are harassed and some doctors even feel that the situation is more dire than harassment (unexplained deaths aren’t uncommon). The Gerson Diet can be used anywhere with a helpful partner to work on things like juicing and getting all the various supplies. Download the book that talks about the Gerson Diet here: https://www.amazon.com/Gerson-Therapy-Nutritional-Program-Illnesses/dp/1575666286/ref=sr_1_1?ie=UTF8&qid=1517865695&sr=8-1&keywords=gerson+diet . This diet and Gerson’s protocols have been proven to fight all kinds of diseases and it was even brought before Congress years ago (in the 1940’s, I think) as the first treatment that actually cures cancer (Big Pharma made sure the general public never found out about this or any other cancer cure, of course). Before you decide exactly what you want to do in terms of alternative cancer treatments, you might also want to consider ordering some Essiac Tea. Be sure you prepare it properly. My mom has been drinking it as a cancer preventative medicine because she’s been exposed to a lot of radiation and she said that the brew is a little heavier than a tea and not the most flavorful. But, apparently it works. A fair number of people have used it to keep cancer from spreading and metastasizing. Apparently, it doesn’t always work to get rid of the cancer, but it does work (according to personal accounts) to keep tumors from spreading. Sometimes the tumors will swell before they go away though, so keep that in mind if you decide to use Essiac Tea. And finally, there are doctors in Puerto Vallarta named Dr. Jake Ames and Dr. Zoli Hargitai who offers a variety of no-chemo cancer treatments including stem cell therapy and IV Vitamin C therapy at the Holistic Bio Spa there. (IV therapy is also on offer at the American Holistic Care and American BioDental Clinic in Tijuana, by the way.) I’ve never been to the Holistic Bio Spa in Puerto Vallarta (I plan to visit in a month or so to see it with my own eyes), but I’ve spoken to Dr. Ames on the phone about his treatments and I’ve been reading some material he recommended to me and trying some personal experiments of my own with a natural cancer cure that he believes is one of the most powerful and least expensive options out there: urine therapy. For the average American, urine therapy sounds like total insanity. You drink your own urine and sip on a little water and eat nothing for a specified period of time depending on your illness. But though it sounds crazy, I’ve tried it myself and I’ve been reading about it over the past few weeks in anticipation of visiting the clinic. Last month I had a prolonged period (I’m 42 years old), which isn’t unusual for me when I don’t take my herbs (mostly Maca, but sometimes Vitex berry). Instead of doing herbs last month, I tried urine therapy instead. I put it on my skin and let it soak in and then drank the rest. It wasn’t as bad as I thought it would be, honestly and my super-long-3-week-period stopped by the second day which was notable. Urine therapy is supposed to help you normalize hormone levels and apparently, it’s a fairly powerful and extremely affordable cure for cancer. Dr. Ames is passionate about urine therapy as a cure for cancer and I’m excited to learn more about it honestly because it’s accessible to everyone. If this is something that interests you and you’re willing to think outside the box to cure your cancer, contact Dr. Ames. He offers phone consultations to help people get started on urine therapy for cancer at home. Having a little support can be important with something like this. This is an affordable/free cancer cure that you could do from the United States without having to travel if travel simply isn’t possible for you. Finally, I wanted to say just a bit more about the fact that you have 3 girls and that you’d rather not travel. I have a contact who works specifically with women who travel with children (or by themselves) to Mexico and other parts of the world. She would be an excellent source of support to you. She specializes in making sure that the travel experience is safe and enjoyable. This is a link to her web site: https://www.querenciatours.com/querencia-travel-consulting/. Please let me know if you have other questions! I forgot to mention. I have tested + for the brca 1 gene. With this news, I know you must feel like things are hopeless, but I’ve read that RigVir is used as a cancer preventative as well as a treatment. There’s a lot of learning for people who have believed their whole lives that chemo and radiation is the only treatment available for cancer. Chemo and radiation are “treatments” not cures and both are painful and debilitating. It’s hard to believe there can be HOPE for a cure after having been taught that none exist, but people have been cured of cancer…far more have been cured by natural treatments than by chemo/radiation. As someone who was trained in the standard American model of medicine, I’m still amazed at the number of cancer cures that actually exist in the world. In India, we spent a week in McLeod Ganj and passed by a Tibetan clinic on the street many times where people are regularly cured of cancer using herbs. Last weekend I read a book about the herb Pau d’Arco which is regularly used by indigenous people as a cancer cure. There are no guarantees, of course, no matter what treatment you choose for cancer because we’re human but if you’re willing to learn new things, travel to new places, and have a little faith in the possibilities, some amazing things can happen even if you have the BRCA 1 gene. You can be cured and you can live a long life. I have just been diagnosed with breast cancer, a level 2. We are considering the Immunity therapy Center in Tijuana and curious about their history. I’ve never heard of the Immunity Therapy Center in Tijuana, but I just looked at their web site and it looks like they have an impressive line-up of options as far as alternative cancer treatments! I’ll have to go see this place! I’d love to hear about your experiences there and others would definitely benefit from hearing more about it too if you ever feel compelled to share. I don’t personally have experience with the Immunity Center and so I don’t know whether patients have had good experiences there or not, but again, it looks to me like they offer a diverse array of effective cancer-fighting therapies. In Tijuana, there are a number of different alternative cancer treatment facilities so if you go to the Immunity Therapy Center and you don’t feel like it’s the right place for you, simply go to some of the other cancer treatment facilities and find one that feels comfortable. Good for you on seeking out a non-chemo cancer therapy for treatment! I did some research this week on the Immune Therapy Center in Tijuana and I wanted you to know that this facility offers a variety of holistic cancer treatments as well as chemotherapy. I wanted to make sure that you knew this and that you also know that while chemotherapeutic cancer drugs can initially seem to get rid of cancer, it can also set patients up to relapse and get the cancer back several years later (usually within about 5 years). As far as I can tell, the chemotherapies on offer at the Immune Therapy Center are an “up-sell” meaning that once you get into the clinic and start receiving the holistic treatments, they can sell you on chemotherapies which are much more expensive. Looking at the various holistic treatments they offer, I would consider going there, but I’d be VERY CLEAR with them that you don’t want ANY chemotherapy treatments if this is the case for you. If you want to do the holistic approach and ONLY holistic, natural cancer treatments, be sure that everyone who works with you knows this. And be sure to read the literature on the chemotherapies that are “sold” to you before you buy into them. Once you get into the clinic, doctors, nurses, and other reps could use scare tactics to try to talk you into doing a chemotherapy treatment. As Americans, we’re wired to believe what the doctors/nurses say, but follow your gut and approach your diagnosis in your own way (whatever that may be). Don’t let people scare you into doing treatments that you don’t want to do. I’d recommend reading at least the first chapter or two of the book, “The Truth About Cancer” by Ty Bollinger to get an idea of what kind of politic/financial motivation goes into the perpetuation of chemotherapy use in the U.S. before you make big decisions about your cancer treatment. But I don’t want this message to scare you either. You can handle this. Follow your own path and find the cancer treatment facility that resonates with you! I know you’re probably in a hurry to start treatment because we’ve all been taught that cancer grows and spreads rapidly (it doesn’t), but consider taking a day or two to go see the Immune Therapy Center, the Hoxsey Clinic, Hope4Cancer, American Holistic Care (aka American BioDental–they’re located in the same building), and Sanoviv, as well as the Gerson Clinic and then ask yourself which of these places FEEL best to you…which of these places is a place where you could heal from cancer? You could take the Hoxsey Tonic and also do therapies at Hope4Cancer, Sanoviv, Gerson, or the Immune Therapy Center. One of the cool things about American Holistic Care is that you can choose therapies a la carte rather than being pressured into doing a full PROGRAM for $40,000+ at Hope4Cancer or Sanoviv. It just depends on what you want and how you want to go about the healing process. I know it will cost you a couple of nights in a hotel, but the treatment that you choose can make the difference between total healing and healing that lasts for only 5 years. It’s an important decision and you’ll feel better about having seen all the treatment possibilities first as opposed to making the decision based on an Internet search. But again, this is up to you and only you can decide how to proceed! The patient knows best! I appreciate you bringing the Immune Therapy Center to my attention and I’d be interested in knowing how you were treated there and whether or not they actually DO in fact try to up-sell their patients on chemotherapy or if they’re truly focused on holistic cancer treatments. Other people who are looking for non-chemo cancer therapies or holistic treatments would definitely benefit from knowing your experience there! I’m also going to the immune therapy center very soon , I spoke to the Dr and Veronia , I told them absolutely no chemo , but there other therapy’s are fabulous, I’ve read Dr Lenord cordwell books and most of what he uses immune therapy center uses , so I’m comfortable with them so far , just state what u want that’s it , what I really like is the blood ozone therapy must have that , I have stage 4 esophagus cancer never did chemo/ radiation or surgery by the way I do have a tumor in my throat , till I get there I’m doing lots of herbal teas eating right am praying , my Drs here in the USA to me 2 years ago I’ll be dead in 3 months all because I didn’t let them touch me , I walked out an said thank you . Thanks for this information about your experience with the Immune Therapy Center, Michelle! It’s SO ENCOURAGING to hear that you’ve had success with alternative treatments. I’ve never heard of Dr. Leonard Coldwell, but I’ll do some research on his work with cancer since you mentioned it. Again, thank you for your comment and I wish you the best with your cancer treatment! I didn’t mention the Oasis of Hope facility because they offer a lot of chemotherapy and radiation treatments along with the natural treatments they have on offer. Many of their chemo treatments are low-dose or targeted and therefore they could be categorized as “alternative” chemo options (as opposed to traditional, high-dose chemo) at Oasis of Hope. I don’t have any experience with this facility and I don’t know what their success rate is using these alternative chemotherapy treatments. I don’t know what kinds of experiences patients have had at the facility. I haven’t written about Oasis of Hope because, from my research, I’ve learned that many doctors who have offered treatments like vitamin B17 (amygdalin or laetrile) say that once a patient has received chemotherapy treatments, their survival rate drops by 20% (with vitamin B17 treatment the patient has close to a 100% survival rate if it’s administered BEFORE the patient receives chemo or radiation treatment). Many doctors who offer no-chemo, no-radiation cancer treatments stay away from chemo and radiation because while initially these treatments may seem to be effective, over the course of 5 years or less, studies demonstrate that chemo and radiation actually cause cancer. So patients who receive chemo and radiation tend to get the cancer back again. In other words, chemo and radiation are a short-term fix (if they work at all). This is why I’ve never focused on Oasis of Hope on this blog. But, while I would never personally seek out chemo or radiation treatments and I would never recommend chemo or radiation treatment to my loved ones, I also know that for some people, low-dose, targeted chemo or radiation may feel like the right choice. NOT doing chemo or radiation AT ALL can be terrifying for someone who’s spent their whole life thinking that these treatments are the only options to “cure” cancer. And so, I have to acknowledge that, again, while these treatments aren’t something that I would want myself or recommend to my loved ones, that they still might be the right choice for some people. In fact, choosing alternative chemo or radiation treatments can still be less toxic than choosing traditional oncology treatment, so in that respect, I support these alternative chemo/radiation options. The patient should believe in and have faith in the treatment, because belief plays a role in healing. So, if you feel like Oasis of Hope is the right treatment center for you, then it is. You have to trust your caregivers and use your intuition to find the right facility for you (and if you ever stop trusting your caregivers, don’t be afraid to go elsewhere for treatment). But, I wouldn’t personally send my loved ones to Oasis of Hope just simply because I would not want them to be exposed to chemo or radiation. I wouldn’t want my loved ones to be “sold” on treatments that are potentially toxic to an already weakened body. Unfortunately, medicine is a capitalistic endeavor so patients in hospitals throughout the world are often sold treatments that they really don’t want and don’t need. Being sold on unnecessary treatments is a great way for certain facilities to make a huge profit. Patients who are ill don’t have time to become informed consumers. But again, I acknowledge that many of the chemo and radiation treatments on offer at Oasis of Hope are LESS toxic than what’s available in the average American oncology center. And perhaps they’re effective in certain situations! Thank you for your comment, by the way. I’m sending you a copy of The Cancer Cure Catalog (3 volumes), by email so that you can look up different alternative cancer treatments and learn more about the scientific research that supports each one. These books don’t contain an exhaustive list of natural treatments, but they do contain information about most of the treatments currently offered at Hope4Cancer or the Hoxsey Clinic. Have you looked into the RigVir cancer vaccine as a possible treatment option? My friend has stage 4 cancer that’s spread to her lungs causing her to need high levels of oxygen. She’s needs a wheelchair to move around and must have at least 3.5 liters per minute of oxygen. Travelling is very difficult. She is currently at a clinic in Tijuana but they are not able to handle her respiratory needs. Can you recommend another clinic in Mexico that can can give her the cancer treatments she needs plus manage/treat her respiratory issues at the same time? I’m afraid her alternative is hospice. Which clinic are you currently at? I’m asking some of my connections that question to see if I can find the answer. Also, what type of cancer was she originally diagnosed with? Thank you so much for this information. I will tell her about the Immune Therapy Center and do research on it myself. She has in mind to go to Hope4Cancer next but isn’t sure they have oxygen on the second floor, where a lot of the treatments are given. I’m hoping to call them with this question. She is now having trouble talking so is not able to call them directly herself. My friend feels that her only hope is the holistic approach so to say your information is appreciated and invaluable is an understatement! I’ll check back to see if your friends gave you additional information. I see from the site that the Immune Therapy Center is for outpatient treatment only and patients must stay in a hotel or other accommodations nearby. That won’t work for my friend as she is no longer very mobile, especially given her oxygen needs. I hope your friends will have some suggestions or insights to share. Thanks so much again. Linda the center has inpatient also that cost $30,000 and out-patient coat $18,995 , like I said before I’m going there because it’s the best place for me , the hotel I’m staying in is right across the street , but I do understand your friend needs , but they do have inpatient . I got some additional information about the Immune Therapy Center this morning that I wanted to post here for you as well as for others who might benefit from knowing it. There IS still hope for your friend using the holistic approach! And it’s so nice of you to be seeking it out for her! The cost of 3 weeks of the IN-PATIENT program at the Immune Therapy Center is $19000. The cost of 3 weeks of their OUT-PATIENT program is $30,000. Also, I thought it might be useful for you to know that the Immune Therapy Center offers HALO therapy, which involves breathing micro-ionized salty air to decrease breathlessness and treat certain lung issues. HALO therapy mimics the healing environment of a salt cave. Also of interest is the fact that the Immune Therapy Center offers oxygen therapies and recognizes the importance of a high-oxygen environment in combating cancer. The Immune Therapy Center offers special rates for their patients at a variety of hotels. The cheapest rate for a hotel booked through the center is $63/night + $12/additional guest. If you decide to stay in a hotel, steer clear of the continental breakfasts and instead opt for freshly made juices (maybe buy a juicing machine and fresh local produce and make it in your room?). If possible, I would follow the Gerson Diet for a loved one with cancer because this diet alone can cure cancer and why not aim at the disease from a variety of different angles? Thanks for this awesome information, Jennifer. Do you know if the Immune Therapy Center has rooms for patients to stay in the facility or does everyone have to stay elsewhere? My friend would not be able to manage the constant back and forth moving. She needs a room with high-level O2 and a hospital bed. Thank you so much. She was originally diagnosed with breast cancer almost 10 years ago. Was in remission for years and then it came back and spread. She is currently in a hospital-like clinic in Tijuana but can’t stand it there and desperately wants to find a better clinic to address her needs. I fear that such a clinic may not be available for her. Have you heard of the Rubio clinic or Angeles clinic? My friend is currently at Oasis of Hope “hospital.” Never mind about the Angeles Clinic. It’s outpatient only. The Rubio Cancer Center is in the San Diego area close to the border. Do you have any information in Chipsa in Mexico? I have a friend who had me search all of the clinics and it looks that Chipsa has the most testimonials as well as highest documented success rates. They also seem to have the largest variety of treatments including Gerson and Coleys. They have all the IV therapies and one of the only clinics with IVCK3. Hope4Cancer is the other. Just wanted to get your opinion since you seem to have connections down there. Also I have researched a few American clinics such as Envita and Nature Works Best in AZ which claims to have a very high documented success rate. Thanks in advance for your response and enjoy your site! I’ve actually been working on a catalog of alternative cancer treatment centers and your comment inspired me to complete it! I don’t have any personal experience with CHIPSA. I sent an email to them for additional information, but they’ve been reluctant to give me info about the cost of their treatment programs which leads me to think that it’s probably pretty expensive. I don’t know that for sure, of course, but if any readers out there know the approximate cost of treatment at CHIPSA, I’d love to include that information here online for people who would like to make a quick comparison. I looked at Envita and Nature Works Best too. The Nature Works Best web site wasn’t working properly. It looks like Envita focuses on cancer biomarkers and uses low-dose chemotherapy to treat cancer, which is unique among the various alternative cancer treatment facilities, but their cost is high at somewhere between $82,000 and $100,000+ after lab work and lodging expenses are totaled. And ultimately, they’re still using chemotherapy to treat cancer albeit at low doses. Still, it was interesting to learn about these U.S. treatment centers for cancer. The sheer number of alternative cancer treatments on offer from the various integrative medicine facilities around the world can be overwhelming to people who’ve been diagnosed with cancer. Some people may want to focus on success rates and statistics in order to make a decision about which place is best for them and that’s okay. Other people might be more interested in the emotional aspects of their treatment or whether they feel a connection to the doctors caring for them. I think it’s just important for people to be able to get the information that they need quickly in order to make their decision as easy as possible because again, there are LOTS of different paths back to good health! When a person is diagnosed with cancer, it’s an indicator that it’s time to focus on one’s holistic well-being, not just the tumor! And luckily, there are quite a few holistic treatment centers for cancer in various parts of the world! The Hoxsey Clinic is a very friendly place and their herbal treatment is extremely affordable! You can take it home with you, which is desirable for a lot of people. While you’re in Tijuana, consider visiting the American Holistic Care Center to do some intravenous therapies. I would DEFINITELY recommend getting several rounds of Laetrile I.V.’s and along with some Vitamin C I.V.’s. The I.V. treatments are available at several clinics in Tijuana. I think the I.V. treatments cost about $100 per bag (approximately). You’ll want to look into getting a number of I.V. treatments with Laetrile being the most important. You can take the Hoxsey Tonic and get I.V. treatments. These two treatments work fine together. I recommend Laetrile as an important part of cancer treatment because although there are a number of cancer cures out there, vitamin B17/Laetrile deficiency seems to be what sets cancer off. If you correct the vitamin B17 deficiency by receiving high doses of it (via I.V.) and then proceed to do other no-chemo, no-radiation cancer treatments like the Hoxsey Tonic and a special diet, you’ll be laying a good foundation. In addition to the Hoxsey Tonic, and I.V. treatments you should also be doing a special cancer diet. I just sent you the rough draft of a cancer eBook that lists all the cancer cures that I’ve been able to locate over the years. It’s a work in progress. I sent it to your email. If you haven’t received it, please let me know! I would recommend considering a vegan diet that includes a LOT of juicing. The Binzel Diet, the China Study Diet, and the Gerson Diet are all good options. Invest in a good juicer that removes the pulp from the fruits and vegetables. Juicing vegetables is especially important. You’ll want to cut sugars out of your diet until you’re fully recovered. Then, after you recover, AVOID REFINED SUGARS! This is REALLY IMPORTANT! You can eat coconut sugar, honey, and maple sugar AFTER YOU’VE FULLY RECOVERED AND YOU’RE CANCER FREE. Until then, drink a LOT of carrot juice. And take a high-quality multi-vitamin. Your body needs zinc, vitamin C, and sufficient amounts of the other vitamins and minerals in order to make full use of the Laetrile. One of the theories that best supported by research is that it is caused by an immune deficiency that results from a lack of vitamin B17 (also known as Laetrile). Vitamin B17 is found in the seeds of fruits, like grapeseeds, apple seeds, and watermelon seeds, for example (you should eat the seeds of fruits). One of the best sources of vitamin B17 is raw, organic apricot kernels. These kernels are found inside the apricot pit. They look like almonds. Fresh apricot kernels taste bitter. The ones you buy online, however, taste more like almonds. I’m sending you a link to these products in your email. Another option for you is to contact The Wolfe Clinic in Tennessee at 1-877-359-6950 or the Conner’s Clinic is Minnesota at 1-651-739-1248. They both offer counseling on how to do High pH Therapy. I believe that both of these places offer guidance and treatment support over the phone, but I haven’t checked in on this personally. I know you can buy some supplies online from The Wolfe Clinic to do their treatment protocol. It would be ideal if you could include Laetrile/vitamin B17 in with the High pH treatment offered through these clinics. In summary, you have lots of options to choose from! Like I said, I sent you the eBook. I’m not a doctor, but I’d be happy to answer your questions about the material in the book to the best of my ability! I just sent you a rough draft via email of the first edition of an Encyclopedia of Cancer Cures that we’re compiling. Be sure to check your spam if you don’t see the email right away. 3) Consider traveling to Tijuana, Mexico to get vitamin B17/laetrile intravenous therapy. ($100 PER I.V. BAG + COST OF TRAVEL–AMERICAN HOLISTIC CARE OFFERS A LA CARTE I.V. THERAPY INSIDE THE GRANDE HOTEL). 4) If you have mercury amalgam fillings, get them removed. You can do this at an affordable price in Tijuana at the American BioDental facility located right next door to American Holistic Care. (COST WILL DEPEND ON THE NUMBER OF FILLING REMOVED–I GOT 4 OF MY AMALGAM FILLINGS REMOVED AND REPLACED FOR ABOUT $1200). 5) Order Iodoral and some liquid iodine. There’s a substantial amount of research that indicates that iodine deficiency can be a major factor in causing breast cancer. I’d recommend reading Lynne Farrow’s book called Iodine Crisis and Dr. Mark Sircus’ book called Natural Allopathic Basics to learn more about iodine and how it links to cancer and what to expect when you take high doses of iodine. In the book I’m recommending by Dr. Sircus there is a full supplementation protocol for iodine and magnesium and other important vitamins/minerals that he recommends and describes as well as a sodium bicarbonate protocol. He also offers consultation over the phone to help cancer patients regain their health too. The cost of supplements is about $40-$100/month depending on the dosage that you take. Be aware that when you take high levels of iodine that your body will detox from bromine and fluorine exposure and you may feel worse before you feel better. 7) Take daily epsom salts baths to increase your body’s magnesium levels. Be sure that you buy PURE epsom salts and not the stuff that contains fragrances and other unnecessary additives. (COST – DEPENDS ON THE BRAND OF EPSOM SALTS THAT YOU PURCHASE – MAYBE $30/month). 8) Get rid of toxic body care products. For example, after learning about the carcinogens in my shampoo, hair spray, conditioner, lotions and toothpaste, I switched to less toxic products. I live in Mexico, so some of the products I use aren’t available in the U.S., but I’d recommend using this particular formula of Shea Naturals Conditioner and Shampoo. The other Shea Naturals formulas aren’t as non-toxic. You can use the Environmental Working Group’s Cosmetics Database to find out how your current bath and body products rank. I’m not sure where the funding for this agency comes from, but I’ve found it helpful in locating good non-toxic products. You can brush your teeth with baking soda–it really does work and it’s totally non-toxic. You can use baking soda to wash dishes as well. Soap nuts + baking soda + vinegar + epsom salts make a great alternative as a non-toxic laundry detergents. And Dr. Bronner’s soaps are non-toxic as well. For deodorant, I use a salt crystal + Primal Pit Paste. The crystal lasts forever and since I live down south, it’s hard for me to find Primal Pit Paste so most of the time, I just make my own using baking soda, shea butter, and arrowroot + essential oils (it’s cheaper this way too). When you first start to detox, you may feel like the deodorant doesn’t work, but after you get through that, you’ll smell fine! And finally–for lotion, buy apricot kernel oil, which contains vitamin B17/laetrile. This vitamin can be absorbed through the skin so by using it as a moisturizer, you’ll be making yourself healthier! 9) Also, consider finding a good hypnotherapist who can help you work through and make peace with the trauma of all that you’ve been through. I know several hypnotherapists who work with clients online. If you’re interested in their names/numbers, I’d be happy to connect you to them. 10) I always recommend that if you have the time and energy to read World Without Cancer by Edward Griffin. This book can be downloaded for free at the link above and it can help cancer patients understand the political/economic situation that surrounds cancer treatment. It can be a difficult read if you have or have had cancer and you’ve been through conventional treatments, but the information contained in this book will help you develop confidence in alternative and integrative treatments for cancer while helping you be more savvy about the advice your doctor may give you in the future. Thank you for all of this wonderful research! I was diagnosed with Breast Cancer stage 1 in 2015 no lymph node involvement. I did a bilateral mastectomy, and as preventative due to my Onco DX score, I did chemo. Tamoxifen, and a year later as preventative I did a complete hysterectomy. A month ago I found out my breast cancer has returned in my bones. I have researched several clinics in Mexico and a few other countries. Of course here in the states they want to do more of the same that obviously didn’t work the first time around. What clinics would you suggest? I just sent you an email that contains The Cancer Cure Catalog, a 3 volume series that summarizes the majority of the most important cancer cures that are currently known in the world. If I were in your position, having had breast cancer, chemo and now bone cancer, I would look closely at the Hope4Cancer clinic. They offer a wide range of different treatments (from cancer diets to biological dentistry) that target cancer from many different directions all at once. The cost of treatment at their facility is around $40,000 (last I checked), but it’s well-rounded. Hope4Cancer is located along the beach and there’s lodging at the facility. It’s easy to reach the facility by car although I think if you contact them that they also have a shuttle service from San Diego. In the meantime, as you make the decision about where to go for cancer treatment, consider purchasing supplemental iodine from a health food store or online. Lugol’s iodine 5% or Iodoral are both good choices. Even more important than iodine is vitamin B17, which is illegal in the United States (because it would put the pharmaceutical companies out of business). Though vitamin B17 is illegal as a supplement, you can still get it from apricot kernels (the almond shaped seed inside of an apricot pit). These can be purchased online (be sure to get organic, raw apricot kernels) or you can crack open the pit of apricots from the grocery store to get them. It would also be beneficial to start taking pancreatic enzymes as soon as possible. Pancreatic enzymes circulate in the blood and eat away at the outer fibrin sheath that protects cancer cells from the immune system. Taking pancreatic enzyme supplements (between meals) will help you get started fighting the cancer right away. In volume 2 of The Cancer Cure Catalog that I sent you via email, there are also a variety cancer diets and alkalinizing protocols that you could get started using right away as well including sodium bicarbonate (baking soda). Cesium therapy is more powerful than sodium bicarbonate, but I’ve heard that when people order the cesium, sometimes it doesn’t arrive (because it gets intercepted by the government, I suppose). But sodium bicarbonate/baking soda is available in every grocery store and it has very respectable alkalinizing effects. Information about how to use the baking soda is in volume 2. I would also suggest in the meantime (until you arrive at a cancer treatment facility) that you cut sugar out of your diet along with all animal products. The China Study was the most comprehensive nutritional study ever done in the world and it proved that by eating a diet of less than 5% animal products (or better yet, NO animal products), that patients can “switch off” their cancer.There are several cancer diets to choose from in volume 1, several of them include a list of supplements. The Binzel Diet (which is very similar to The China Study Diet) talks about the importance of vitamin B17. If you have other questions, please let me know! Hi there! Thank you for sharing your information! I have stage 4 metastatic breast cancer in my liver, lungs and bones. I originally had DCIS and had a bilateral mastectomy in 2010 and the cancer came back as Mets in 2017. I’ve been researching 4 different clinics in Mexico. Was hoping you could provide some guidance on the best fit for my condition?! 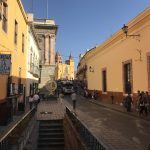 A variety of the clinics in Mexico would be beneficial for you, but I’ll tell you which ones I like the best along with my experiences with these places so that you can have some more information to work with in making your decision. But first, I would like to say that as a woman who has had breast cancer, you should begin doing iodine supplementation right away. There are several products on the market including Lugol’s iodine and Iodoral 50 mg. I use Lugol’s iodine every day. Iodine supplementation is extremely important for cancer patients, especially breast cancer patients. This is something you can start working with right away, even before you decide which Mexican cancer clinic to work with. Another thing I want to mention is vitamin B17. In the United States (and only the United States), vitamin B17 (also known as Laetrile) is illegal (because it maintains The Cancer Industry for Big Pharma). I would recommend reading the book World Without Cancer by Dr. G. Edward Griffin if you’re able. This book can help you better understand the politics behind The Cancer Industry which can boost your confidence in alternative, no-chemo, no-radiation cancer treatments. These treatments are real and they do work. In my opinion, based on my research, vitamin B17 is ESSENTIAL in fighting cancer. Though it is illegal as a supplement, as a U.S. citizen you can still get it by eating raw, bitter, organic apricot kernels (the little seeds inside the pits of the apricots). Eat 20 to 40 of them per day at least. Seek out a cancer treatment facility that offers vitamin B17 injections, if possible. Many experts believe that a vitamin B17 deficiency is what causes cancer. I sent you a copy of The Cancer Cure Catalog to read and peruse. Take note especially of the pH Therapies. These are powerful and a number of cancer treatment facilities in Mexico make use of them. An at-home pH Therapy that’s very simple to use is Protocel. Another is Cesium Therapy (available through the Wolfe Clinic in the United States). Unfortunately, these treatments are often intercepted when they’re sent through the mail, but you could go directly to the Wolfe clinic as one option (https://www.thewolfeclinic.com/blog/twc-2/post/the-cesium-chloride-protocol-56). Currently, I believe they’re located in Montana. And finally, the two clinics that I like the best in Tijuana, Mexico are 1) Hope4Cancer and 2) the Hoxsey Clinic. If I were in your position, I would go to Hope4Cancer. But the Hoxsey Clinic is affordable and their staff is very personable. Hope4Cancer, on the other hand, offers things like RigVir, and other powerful cancer cures including vibrational therapies. They can hit the cancer from different angles all at the same time. They are a no-chemo, no-radiation clinic whereas some of the other so-called “alternative” cancer clinics in Mexico still offer chemo and radiation to patients. For patients who have had enough of that ride, I like to recommend Hope4Cancer because chemo and radiation aren’t sold in a package along with low-dose chemo to patients who aren’t savvy about what the doctors are offering them. Again, I sent you The Cancer Cure Catalog in the hopes that it would help you navigate that scene more easily. Please don’t hesitate to let me know if you have any other questions. Best of luck to you in your search for the right clinic! My dad was diagnosed with stage 4 Urothelial Carcinoma. He is currently doing chemo. Doctors have told him he will never be cancer free. Please tell me where and what to do now. I just sent you an email that contains a three-volume book of information about no-chemo, no-radiation cancer cures. Most people are not “cancer-free”. Our bodies produce cancer cells all the time, but if one’s body is properly nourished and the immune system is functioning properly, cancer is not a problem and does not turn into a disease. Based on the research I’ve done, what I’ve found is that there are few important reasons why people’s immune systems do not function properly to kill cancer cells before they take over the cancer turns into a full-fledged “disease”. The American Diet – Americans don’t realize how hard it is to get the right nutrients from their food. In the United States, food is shipped very long distances, sometimes (often) from overseas and by the time it reaches people’s plates, it’s seriously lacking in nutrients. Food that’s grown locally lacks nutrients too. Why? Because agricultural practices in the United States have been diminishing nutrients in the soil since the 1930’s. For more information about that problems read Grassland: The History, Biology, and Promise of the American Prairie by Richard Manning (https://www.amazon.com/Grassland-History-Biology-Politics-American/dp/0140233881/ref=sr_1_1?s=books&ie=UTF8&qid=1537979670&sr=1-1&keywords=grassland). The TYPICAL American Diet includes things like fast food and “dead oils” (as they were called by the fats and oils expert, Dr. Johanna Budwig) along with preservatives, and plenty of brominated vegetable oils. People who want to avoid getting cancer or who want to reverse the disease have to be very mindful of their diet in the United States and eat steamed or raw foods (so as not to destroy whatever nutrients are left in the food), and choose foods such as fruits, vegetables, and whole grains while avoiding animal products. Everyone should be taking a good multi-vitamin. Iodine Deficiency – I believe it was in the 1970’s or 1980’s that the decision was made to stop iodizing bread and instead put iodine in salt. People often believe they’re getting enough iodine from their salt, but salt is a terrible vehicle for iodine. The iodine in the salt vaporizes to about 20% (if I remember right) within about 20 days after the salt container is opened. A better choice is to eat Himalayan Sea salt because it contains trace minerals along with iodine and take an iodine supplement like Lugol’s Iodine 5% (10-20 drops per day) or Iodoral. Body pH – Quite some time ago, Keith Brewer discovered that a high pH (high alkalinity) kills cancer cells. A highly alkaline body state kills cancer cells. Things like refined sugars and coffee are acidic and they promote the growth of cancer cells. On top of that, sugars feed cancer so eating refined sugars contribute in a big way to the development and growth of cancer cells. Body pH is affected by diet, but people can do other things to raise their pH to between 7 and 8 (pH strips can be purchased online to monitor body pH). Cesium is the substance that was used by Brewer when he observed cancer cells dying quickly in experimental animals, but baking soda accomplishes a similar thing. In areas of the world where people have high Cesium content in the soil, cancer doesn’t exist. Treatments such as biomagnetism also creates an alklaline body state. Emotions and Negativity – Cancer is an interesting disease. I hesitate to say too much about what it is and how it develops because it’s controversial. Cancer is an infection more than it is a disease about tumors. But this “infection” only happens when the body is depleted of necessary nutrients and the immune system stops functioning properly. It’s not the only “infection” that happens as a result of a malfunctioning immune system caused by a poor nutrient profile. Diabetes, arthritis, fibromyalgia, and many other diseases are affected by the lack of appropriate nutrients in the diet. But that’s an over-simplification of things. Let me just say that the theory behind what causes cancer (according to doctors who have not followed the conventional model of medicine) is elegant, if not utterly incredible because it connects the dots on more than just how to cure cancer, but also diseases that cause mental health issues, AIDs, Lyme Disease, malaria and more. It sounds crazy doesn’t it? But that’s because people have been taught things that serve the profit-interests of a few powerful individuals. And these things that they’ve learned are hard to unlearn because they seem basic to what we believe to be true about ALL things. Suffice it to say though, that emotions and negativity have an important impact on cancer. Magnetic Therapy, Rife Machines, Light Therapy, and other types of vibrational medicines have been helping people cure all kinds of diseases and get rid of simple problems like headaches and body pain without medication. I have personal experience with these things and they’ve wowed me many times over. Meditation, a PEMF mat, a Rife Machine, and some singing bowls can accomplish a lot more than most Americans might think in regard to cancer! When I first started writing the book that I sent to you, I thought it would be about 100 pages long. And I was very excited to write those 100 pages because I knew there were cures for cancer that have really worked for other people. Halfway through the book, my husband developed melanoma on his forehead and I felt very blessed to know that sodium bicarbonate, coconut oil, frankincense oil, and apricot kernel oil can be used topically to treat the problem. Three days after we put this concoction on his spot it dried up and fell off. A year later, it still darkens at times, but then dries up and falls off, getting smaller and smaller. We’ve changed our diet and we follow a cancer protocol that includes alkalinizing our bodies. We take vitamin B17 every day along with iodine and pancreatic enzymes. We don’t eat meat or animal products or sugar (we use stevia and monk fruit for sweeting things instead— I can send recipes, if needed). Our family suffered from systemic candida and we were able to cure ourselves using the same protocols mentioned in what became a 3-volume, 400 page document about cancer cures. So, while doctors may say that a patient may never be “cancer-free”, I think that a patient can recover from cancer and live without fear of the disease after they’ve been cured. But personally (and this is just my experience/opinion), I don’t believe that chemo or radiation are treatments for cancer. I believe that these things are part of what causes cancer. Still, many people choose to continue with chemo and radiation and there are a number of treatment options available that involve a lot fewer side effects than regular chemo treatments and that still make use of chemo/radiation but at lower doses that are more focused on tumors. These kinds of treatments are also available in Tijuana, Mexico (photodynamic therapy, for example). I’m not sure what you have in mind for your dad, but I think that patients should follow their intuition and do what resonates with them in terms of treatments for cancer. Everyone has to follow their own path. But I sent you the book and you’re welcome to print it and pass it on to others if you’d like. Each volume contains a different type of treatment ranging from foods/teas/supplements to vibrational medicine. It’s pretty amazing what’s out there and what works as a cancer treatment.